AUSTRALIAN new car sales continued their slide in March, as the housing decline, political uncertainty and tighter credit conditions dented consumer confidence. Sales were down by 23,000 cars in the worst opening quarter in five years, translating to more than $850 million in lost revenue for the industry. Luxury brands have had a particularly tough time. 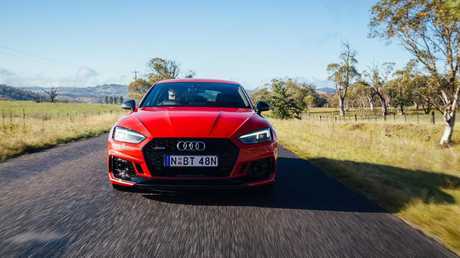 Audi sales are down by 25.8 per cent for the year to date, joined by Porsche (23 per cent) Mercedes-Benz (15.1 per cent), BMW (5 per cent), Land Rover (17.4 per cent), Maserati (44.5 per cent) and Mini (14 per cent). Audi sales have fallen further than luxury rivals. FCAI chief executive Tony Weber says the cautious approach from consumers "is not surprising given the number of economic headwinds in the Australian market". Weber says falling house prices, a looming Federal election and tighter financial lending practices have hurt sales. 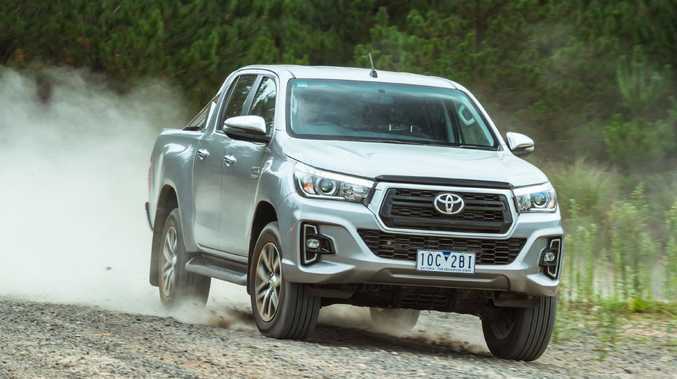 March figures show Toyota's metronomic performance at the top of the table continues, as both the top make and with the HiLux as the best-selling model. Dual-cab utes represent the three highest-selling cars in Australia. The race for second is much closer. 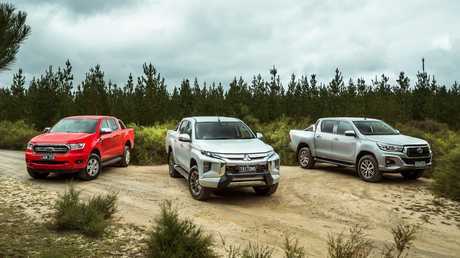 Mitsubishi edged out Mazda to take the runner-up place in March, helped by models such as the ASX, Eclipse Cross and Outlander which made it the top-selling SUV brand last month. Mitsubishi Motors Australia chief executive John Signoriello said the brand's sales have increased by nearly 20 per cent this year. "[Mitsubishi] is fortunate to have such a strong dealer network and a very competitive SUV and LCV range which has helped us build the brand over the past four years to achieve such a strong result," he said. 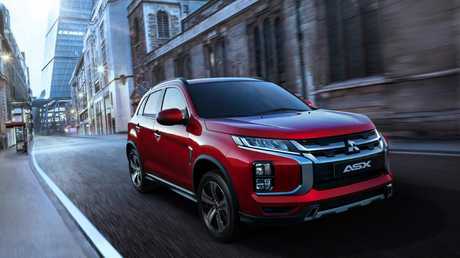 "SUVs consistently outsell passenger cars in Australia and while some are starting to see the opportunity, Mitsubishi Motors has been focused on delivering exceptional SUVs designed and engineered to meet the needs of our customers." Strong sales for the Outlander and ASX made Mitsubishi the only marque with three models in the top 10. An updated Mitsubishi ASX is just around the corner. The Japanese brand has not offered large sedans since shutting the Mitsubishi Magna and 380 plant in 2008. The Lancer compact sedan will soon be dropped from a range set to be bolstered by more SUVs. Ford's Ranger and Mitsubishi's Triton utes joined the HiLux on the podium, ahead of the Mazda3 and Toyota Corolla hatchbacks. Signoriello's barb suggesting some brands are only "starting to see the opportunity" offered by SUVs might have been directed at the likes of Holden, which historically hitched its wagon to the Commodore. 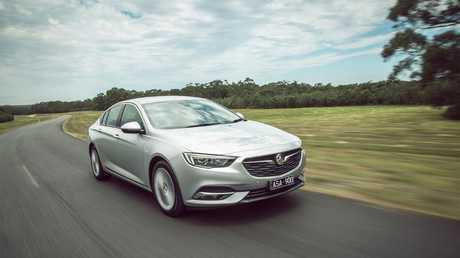 Holden’s European-built Commodore has not resonated with Australian buyers. But the German-sourced ZB Commodore is struggling to find ground, attracting just 423 sales last month - less than relatively niche European hatchbacks such as the VW Polo or Mercedes A-Class. Holden lies 10th in the sales charts, well behind its former sparring partners. Mazda took third place for the month ahead of the launch of its new Mazda3 next week. Expect that car to deliver a bump for a brand which remains strong with private buyers. Hyundai finished in fourth place, ahead of Ford and Honda. Seventh-placed Kia is one of two brands in the top 10 to experience sales growth this year, joining Mitsubishi with a positive ledger.